We search on any and all information that is provided to us – name, address, Social Security number, and date of birth. 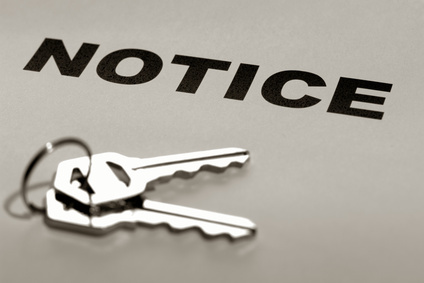 Unfortunately, the courts that process eviction cases don’t always report all of the tenant information. Routinely, courts only report the tenant’s name and an address. Rather than take the chance of providing a false negative report, screening agencies like Tenant Verification Service, note same name matches. All tenant screening agencies do it this way. If an eviction appears on the report, the landlord can then cross-check the address given, look at the rental application, or interview the applicant to determine if it’s the individual or not. With the address verification that comes with the report, that’s pretty easy to do. For instance, let’s say the eviction report shows a prior eviction. There are no gaps in the rental history where the applicant is not accounted for, there is no indication that they lived at the address in the eviction report, and the current landlord says rent payments have always been made of time. Obviously the eviction is a same name match, but not this applicant. To maximize the effectiveness of an eviction report, make certain that the applicant has completed the rental application, including a date of birth, Social Security number, and previous addresses. Check a photo ID to confirm the date of birth. Look for pay stubs or banking information to confirm the Social Security number. Talk to previous landlords to verify the address history and find out if this candidate has a good rental history. Verify the spelling of the name and find out the middle name –make sure you have the applicant’s full legal name. In addition to the eviction report, run a credit report, and a criminal background check. Information on those reports may confirm what you see in the eviction report, or contradict information given on the rental application. Using these reports in tandem is the best way to catch an applicant who is not telling you the whole story. If your report shows a previous eviction, compare that information against your applicant file. If it could be your applicant, follow up with them for an explanation. This way, you don’t just verify credit worthiness, but tenant worthiness as well.